If you are a part of the hiring process for your organization, you must be aware of the fact that hiring involves both attracting and retaining of candidates to the maximum duration of time. But there are a few things that we wish to add to your knowledge series and the most baseline point is that a single-minded approach on skills and experience won’t help your hiring needs. There has to have a professional mindset, over the top thinking, and out of the box attitude to hiring extraordinary talents for organizations. According to a recent report, about 89% of employees would willingly change their current industry or profession if the career opportunity is worth a switch. 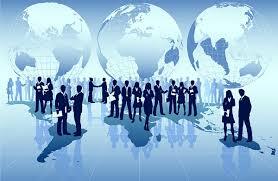 A significant role in this form of behavioral change is played by the influence of human resource or RPO outsourcing. It wouldn’t be wrong to call recruitment process outsourcing as the latest injection of innovation that holds the power to redefine the talent base or acquisition policies of any organization. While most of the businesses hire employees on the basis of their industry experience and knowledge, a forward thinking approach has something else to say. The RPO strategy indicates looking beyond the preconceived notions of experience, success, and potential. It is to hire a person having the right aptitude and motivational zeal to learn. Candidates who are high performers are not different in the terms of education- rather, their willingness, attitude, and performance make them different. So, while hiring new talents for your organization, stress on the potential factor rather than just going for the experience statistics. As RPO solutions have paved ways for brighter cross-industry hiring, it suggests that it is relatively easy to transfer skill base of candidates. As the market is going hard day by day, it is all about the power to explore the opportunity and your talent to do justice with the situation. The injection of the new idea is to develop an integrated mindset that has the zeal to offer different sectors with similar potential. So you think your company needs to hire an industry expert? Well, you can go with the robust assessment rule. Recruitment Process Outsourcing firms hardly get attracted to someone on the basis of their proven track record. An overall robust assessment ensures the hiring of right capabilities and motivators. It is something beyond what you read in the resumes or get to know through the references. It is more about assessment and professional judgment. Most of the hiring managers are worried considering the ‘staying’ behavior of the employees. What if we invest our time and resources in training the employee and he finally leaves after a few months? So let us ask one question to you here. What if you don’t invest your time and resources in training an employee, and he never leaves? The risk of working with a less competent and calibrated employee is the worst thing to have. Especially in a business scenario where ideas and attitude are more important than skill set, you just cannot afford to compromise with right hiring principles and professional approach.